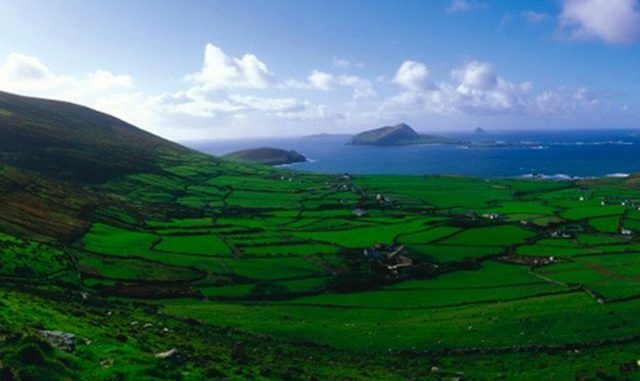 Image: How did Ireland come to be called the Emerald Isle? 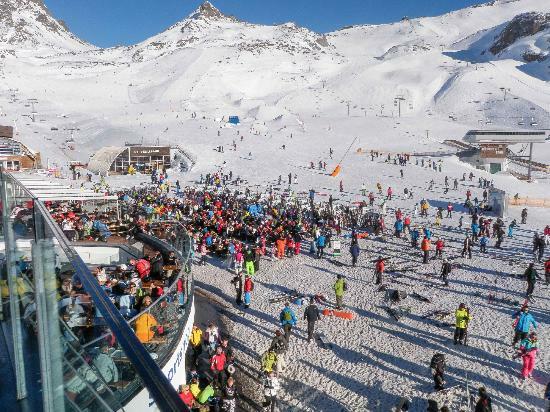 Global warming also failed to show up at Austria’s Ischgler Idalpe (Ischgl Idalp). The Post-1998 Hiatus Plods On…Regionally. North America (180-0°N, 15-60°N) has been characterized as a “major cooling center” by the authors of a new paper (Gan et al., 2019) published in Earth and Space Science. Daily Minimum temperature (Tmin) is an important variable in both global and regional climate changes, and its variability can greatly affect the ecological system. In the early 21st century, warming slowdown is seen over the North Hemisphere and North America is one of the major cooling centers. 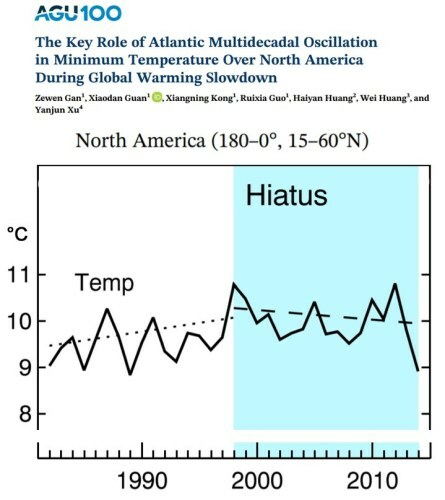 In this study, we found that Tmin experienced an obvious decline in North America during warming slowdown period. 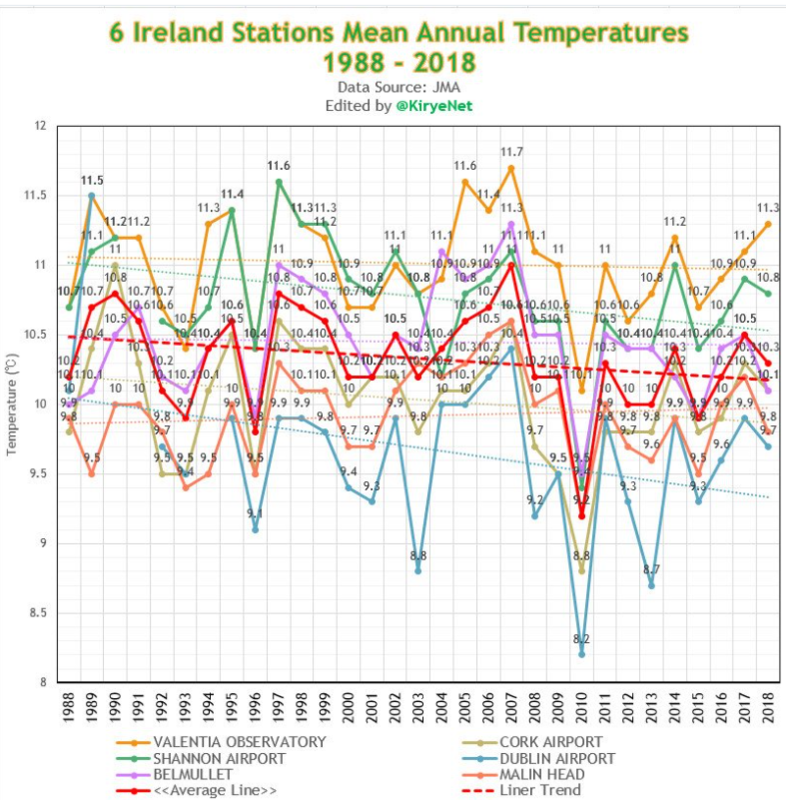 Such Tmin decline is closely related to the Atlantic Multidecadal Oscillation (AMO), the correlation between the decadal components of Tmin and AMO reached 0.71 during 1950-2014. According to composite analysis, the AMO on the positive (negative) phase takes two low-pressure (high-pressure) systems in the northeastern Pacific and the North Atlantic at night, accompanied by cyclonic (anticyclonic) circulations and warm (cold) advection in North America. Therefore, the analyses conclude that the Tmin decline during warming slowdown period is a result of the synchronous decrease of the AMO. 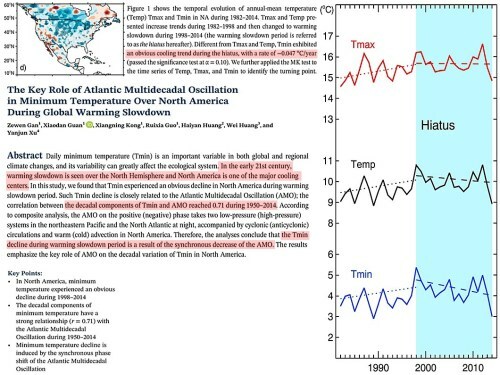 The results emphasize the key role of AMO on the decadal variation of Tmin in North America. 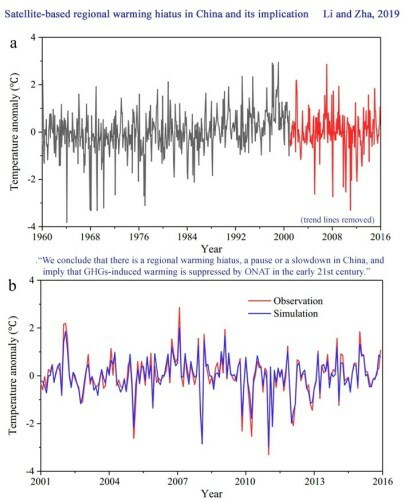 Another new paper renews the global warming “hiatus” debate and documents a 21st-century cooling trend in northern China that also effectively snuffs out the previous decades of warming for the region. 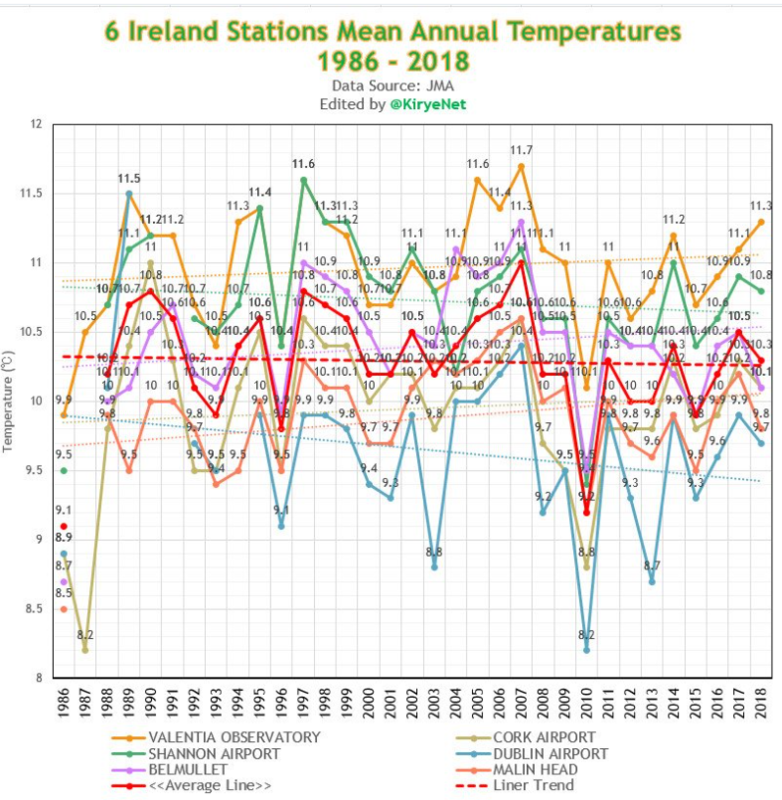 Global warming ‘stalled’ or ‘paused’ for the period 1998–2012, as claimed by the Intergovernmental Panel on Climate Change (IPCC) Fifth Assessment Report (AR5) (IPCC, 2013). In 2017, after a wave of scientific publications and public debate, the climate models as reported in IPCC remain debates, including definitions of “hiatus” and datasets (Medhaug et al., 2017). 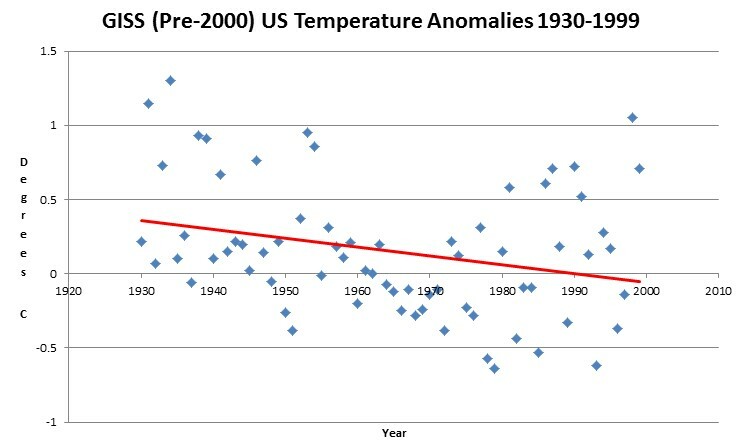 The slowdown in global warming since 1998, often termed the global warming hiatus. Reconciling the “hiatus” is a main focus in the 2013 climate change conference. Accurately characterizing the spatiotemporal trends in surface air temperature (SAT) is helps to better understand the “hiatus” during the period. 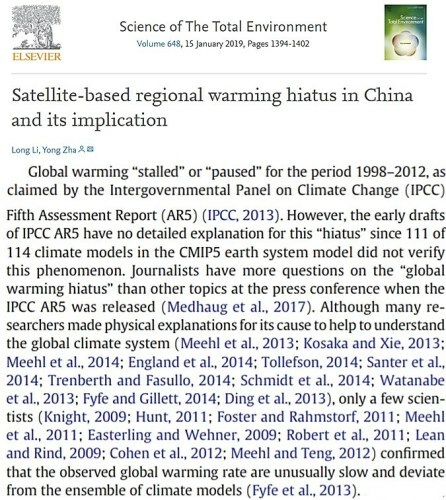 This article presents a satellite-based regional warming simulation to diagnose the “hiatus” for 2001–2015 in China. 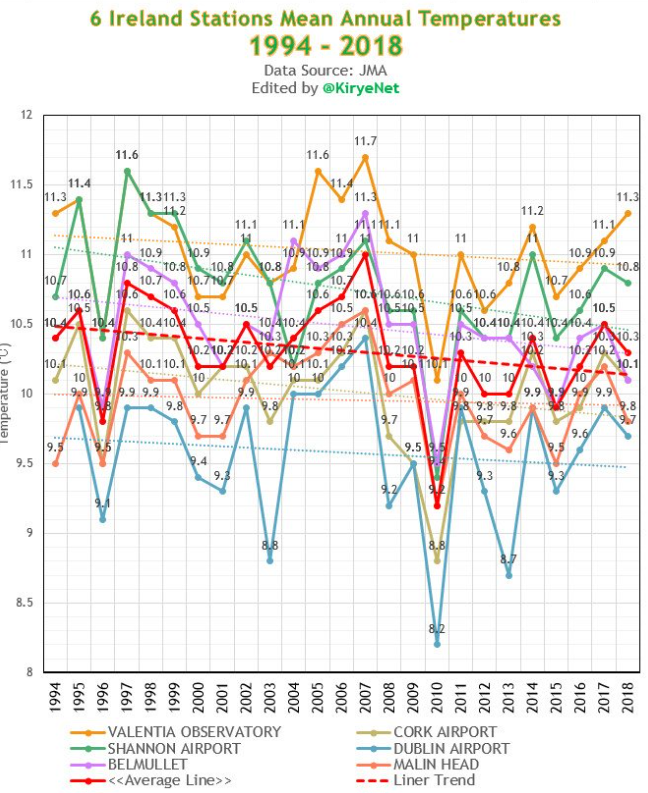 Results show that the rapid warming is mainly in western and southern China, such as Yunnan (mean ± standard deviation: 0.39 ± 0.26 °C (10 yr)−1 ), Tibet (0.22 ± 0.25 °C (10 yr)−1), Taiwan (0.21 ± 0.25 °C (10 yr)−1), and Sichuan (0.19± 0.25 °C (10 yr)−1). On the contrary, there is a cooling trend by 0.29 ± 0.26 °C (10 yr)−1 in northern China during the recent 15 yr, where a warming rate about 0.38 ± 0.11 °C (10 yr)−1 happened for 1960–2000. Overall, satellite simulation shows that the warming rate is reduced to −0.02 °C (10 yr)−1. The changes in underlying surface, Earth’s orbit, solar radiation and atmospheric counter radiation (USEOSRACR) cause China’s temperature rise about 0.02 °C (10 yr)−1. A combination of greenhouse gases (GHGs) and other natural forcing (ONAT, predominately volcanic activity, and atmosphere and ocean circulation) explain another part of temperature trend by approximately −0.04 °C (10 yr)−1. We conclude that there is a regional warming hiatus, a pause or a slowdown in China, and imply that GHGs-induced warming is suppressed by ONAT [other natural forcing] in the early 21st century.